Design-Build Remodelers specializing in high end kitchens, baths, and whole home renovations. Realty Restoration, LLC was formed in 2001 by David Davison, CKBR* and is a proud member of Austin NARI (National Association of Remodeling Industry). David Davison is a Master Electrician and Certified Remodeler* and Certified Kitchen and Bath Remodeler* with over 30 years experience in the construction and remodeling industry. He specializes in design-build residential renovations and additions, as well as new construction. Additional services provided include renovations and additions in the light industrial/commercial arena including Office/Warehouse, Class A office space and Dental Facilities. David served as the 2012 president of Austin NARI and was the Board of Directors Liaison and Chairman for the 2013 Tour of Remodeled Homes, which highlighted one of Realty Restoration's premier projects. In 2013 he earned the distinguished Austin NARI “Community Service Award” as well as the Austin NARI “In Appreciation for your Service on the Board” award. Christopher Davison, AIA, joined the firm in January of 2009. Christopher, a registered architect in the state of Texas, attained a Masters of Architecture in May of 2005 from Texas Tech University. While a student at Texas Tech, Christopher helped in the design of Realty Restoration’s 2007 Austin NARI Tour of Homes entry. Upon graduating, Christopher moved to Dallas to complete his internship with RTKL associates, a multidisciplinary firm specializing in healthcare design. While at RTKL, Christopher helped to implement a new 3d modeling software by the makers of AutoCAD called Autodesk Revit, while studying to take his licensing exams, which he completed in January of 2008. Christopher also spent two years in Dallas with Stocker Hoesterey Montenegro Architects, a well known high end residential firm, where he introduced the firm to Revit and carried out its implementation. Christopher has worked on projects from specialty heart and cancer hospitals while at RTKL, to >10,000 sq ft houses and a 22 unit condo project in Highland Park while at SHM Architects. Christopher facilitates the design portion of the firm’s design-build strategy, by attaining as-built measurements of your home, developing schematic designs to aid in preliminary pricing, and final construction drawings and assistance in product selection to complete the design of your remodel and/or new construction. Our global concept is to provide our customers with the fullest scope of services to gain their maximum satisfaction throughout the entire process of working with us. Interior Design / Home Staging / Remodeling Donate here to support relief efforts from Hurricane Harvey: <a rel="nofollow" target="_blank" href="https://safoodbank.org/">https://safoodbank.org/</a> Matt Mumme offers a full range of professional residential and commercial interior design services, from consultation and design project management to custom furniture. Additional Matt services continue to range in accessory selects and custom wall, window and floor design treatments. Whether you're looking to redecorate your home for the holidays or redesign it to fit your practical and aesthetic needs, Matt will work with you to bring your style out into your home. MUMMEINTERIORS utilizes high-quality vendors, local artisans and workshops to provide more than just a finished product, but a lasting impression on your home. Each project receives Matt’s personal touch from start to finish creating a one of a kind outcome every time. Ready to turn your house into a home? Call us or inquire via the Contact Me button above! Local Architect providing contemporary design of commercial and residential buildings. Our focus is to create residences that are custom, responsive & sustainable. Our clients will find that the design process is very interactive & practical, while remaining highly creative & versatile. 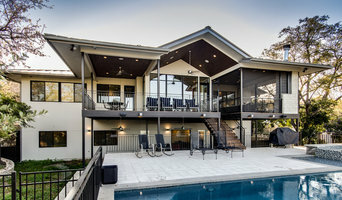 DK Studio is a small residential architecture firm located in Austin, Texas. 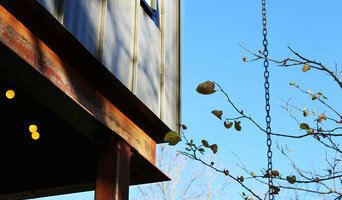 We work on projects great and small, new construction, and remodels-additions. All of our projects have their own unique design style to match the client's preference. Dianne Kett is a licensed architect practicing since 1996. She received her undergraduate Bachelor of Science Degree in Architecture at the University of Maryland and her Master’s Degree at Texas A&M University. DK Studio began in 2003, with a focus on residential design and also small commercial architectural work. DK Studio’s design focus is to create a space that is full of comfort and beauty to the person who experiences it most. Much of our design work reflects an array of architectural styles as we cater to our client’s artistic desires. We are also very efficient in our planning and arrangement of rooms; if you want to achieve a lot in a small space, we are your experts. We are an architecture, interiors and planning firm based in Austin, Texas. We design homes that are specifically tailored to meet the tastes and desires of our clients. 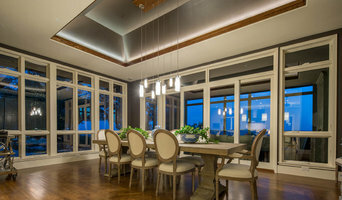 In addition to having vast experience in new home construction, remodeling, small scale commercial projects and multi-family developments, Chelsea Kloss Interiors, LLC, formally known as Chelsea+Remy Design, also works extensively with clients in the furnishing and accessorizing aspect of their projects. Chelsea feels that her greatest strength is her ability to facilitate designs from concept to completion while maintaining a high level of professionalism and trust with her clients. We are a sustainable design-build firm specializing in environmentally conscious, energy efficient, and cost effective design. Call us today to discuss your project! Best of Houzz Winner! Nic Abbey Luxury Homes by Lisa Nichols is an award-winning custom home builder in San Antonio and the surrounding area. We are committed to providing clients with an unparalleled home building experience. We provide each client excellent personal service and guidance through every aspect of the building process. Let us create a home that incorporates your distinctive style and fits your lifestyle! All of our custom homes are designed with the impeccable craftsmanship and commitment to customer satisfaction We specialize in the Design/Build approach to homebuilding We provide professional design and construction expertise in hopes of earning trust and creating a unique custom home of superior quality with timeless style, innovative design and unsurpassed value Our goal is to be your builder for generations to come. Give us a call at (210) 798-2272 or click the "contact me" button to send us a message. We are excited to build your next dream home! Developed over the past 20 years as Steinbomer & Associates, Architects, we are committed to assisting clients in creating environments that are sensitive to context & the occupants' aspirations. Using exceptional communication skills we involve each client throughout the process; focusing attention to detail & offering superior service which are the foundation of Refined Interiors philosophy. We are a locally-owned Boutique Real Estate & Design Firm featuring unique spaces, creative design and exposing Austin living. Michelle Tumlin creates remarkable spaces that uniquely enhance each client's lifestyle and reflects their taste and personality. An accomplished interior designer with over 15 years of design experience, she is known for her ability to connect to people and develop spaces that inspire them. With a sophisticated eye for excellence and personal attention to detail, Michelle instills her passion for design into the artistic process while making it simplified and fun. Her extensive knowledge of building materials and construction makes it easy for her to guide clients through their home selections. Her projects range in style from extraordinarily modern to traditionally refined. After working in the Atlanta market for over a decade, Michelle has moved her headquarters to her home state of Texas. Michelle, along with her Austin based team, aim to create spaces that are dynamic, beautiful, and functional. Michelle Tumlin Design is a full service interior design firm, specializing in everything from construction details to furniture selection for a wide range of projects and budgets. Whether you're building a new home, remodeling, or just interested in sprucing up with furniture and accessories, we're here to help. When not designing and decorating, Michelle enjoys oil painting on canvas. As a daughter of a military service member, she has been influenced by her travels from around the world. We provide lifestyle solutions of unique beauty and functionality. We take pride in creating the desires of the client, while maintaining the integrity of the space "architecture". sun+stone specializes in energy-efficient contemporary design that is sophisticated, stylish, affordable, and sustainable. With a strong sense of design and a long-held respect for the natural environment, the architecture and interior design of sun+stone fuses a commitment to regional, climate-responsive building with an extremely high level of creative design and detailing. The resulting work combines functionality with aesthetics, and energy-efficiency with inspiring artistry. Our work has received numerous design awards, been featured in several books & national trade magazines, and showcased on two AIA homes tours, as well as many NARI & Green Building tours. With a background in art, biology, and master of science degree in energy-efficient design, owner and architect Mark Lind brings a diverse range of talents & abilities to any project. Over the years, he has gained a reputation for designing creative, eye-catching projects that combine materials in unexpected, innovative ways. Mark's decade and a half of experience in the design-build field has resulted in a high level of construction-related, practical experience and an appreciation for working with a budget. Whether your project is a remodel, new construction, or a commercial finish out, sun+stone brings the talent, knowledge, and skills to work with you on creating a unique, inspiring, timeless design. Believing that no one has to sacrifice beauty for efficiency, we strive to integrate these fundamental human needs into each and every project. SHELTER IN STYLE !! As an experienced designer I have received extensive training on color selection, redesign and home staging and have the skills to assist you. Call me today to get started on your next design project! Antenora Architects is award winning architecture, interiors, and planning firm based in Austin, Texas. We practice in a number of project types including, custom single family residential, hospitality, preservation & re-use, urban planning and civic architecture. Our work is centered around the belief that a well conceived building is one that is responsive to the needs of the people who use it, is mindful of the forces of nature, environment and site; it is architecturally respectful to its community and context, and it can be built within reasonable and predictable budget and schedule expectations. In their residential work, simply put, Antenora Architects designs homes that are specifically tailored to meet the tastes and needs of their clients. Barley|Pfeiffer is an award winning leader in comprehensive, sustainable and high performance architecture firm with an emphasis in client collaboration. We love what we do! Located in vibrant East Austin adjacent downtown, HA Architecture is a licensed architecture firm with client’s interests at our core. We are engaged in the community in which we live and believe in a focus on value added design, sustainable building practices, research, continuing education and service. We brew our architecture with passion - embodying a dialogue between people and place. To manifest this relationship in architecture, our approach is an immersive process oriented method from the beginning. Frequent discussions emphasizing budgets and goals with our clients, help our studio aspire to good design and service at every project phase including collaboration with licensed engineers, contractors, landscape architects, and interior designers. WELCOME: THE WILMINGTON-GORDON DIFFERENCE. We have an impressive management philosophy and an incredible, talented team of professionals who are committed to creating well-built architectural homes. What separates us is our management philosophy and the incredible, talented team of professionals who are committed to creating well-built architectural homes. One project manager dedicated solely to one project - your project! This model is deceptively simple but deeply effective. Our project managers are able to focus on what really matters and take the time to plan and do things right. This 1:1 ratio philosophy creates a cascade of positive effects on your project: Budgets and schedules are professionally managed and protected. Safety and quality standards are attentively monitored and maintained. Communication and documentation is proactive - not reactive. Who better to usher your home through every stage of construction than an experienced professional who loves architecture! The majority of our site dedicated project managers have advanced degrees in architecture, and many are licensed architects. We are professionals who are particularly mindful of your architect's design intent. We are professionals who communicate well. And we are professionals who "get it.” This caliber of project management is not relegated to simply upper echelon homes. It's financially feasible and should be the industry norm - not the exception. Please contact us to discuss next steps. We look forward to working with you. Laura Roberts Design is a boutique interior design firm. Her heart is to reach a deeper understanding of what makes you feel best in your space so that she can translate your vision into a reality. I am a licensed interior designer with a green thumb who dabbles in arts & crafts, and have an affinity for all things pop. My work spans the gamut from art and furniture to interior design and decorating. I am best known for my use of color and pattern, as well as my ability to seamlessly mix materials. When I am not working on commercial projects for the firm, you can find me flipping homes or working on my art products. Having over 10 years of design experience, I have been fortunate to work with all types of budgets, design styles and clients; making me the ideal designer for any project or person. From kitchen remodels to ground up construction 9 square studio is fully committed to understanding and fulfilling the clients' needs. Every project we undertake is a unique opportunity for us to explore the relationship between the built environment and the natural environment including not only the physical surroundings but also the cultural, social and individual aspects. We enjoy and understand the incredible responsibility to create a built structure that addresses the utilitarian needs of our client while also expressing a modern aesthetic that manifests into the clients wants. We start by simply listening to the purpose; the budget; the dreams; the realities. Modern Architecture. Context: a building relates to its context by responding to nature, breezes, orientation, views- desired and undesired. In an urban setting, a building must maintain the urban fabric; in terms of scale, importance, materials, orientation, axial relationships, and its role as part of the urban scope. In nature, a building must minimize its footprint; establish a connection to the site with marriage of the building to the land; to protect and nurture the shelter. Modern Architecture. Sustainable: Precious resources are to be used wisely and responsibly. Layers of unnecessary materials are to be avoided and materials are used in an honest intended manner. The use of deep overhangs, generous wall openings, walls based on material proportions, shading devices and an appropriate sitting of the building to the land are a few elements of sustainable building. Also, we provide flexible spaces which not only maximize the function, but also provide an efficient and modest area that will satisfy our clients daily needs. Materials are commonly selected from local sources which are renewable, recyclable and long lasting. Restructure Studio is dedicated to making sustainable design accessible to homeowners as well as building professionals in the residential construction industry. Murray Legge is a graduate of the Cooper Union School of Architecture in New York City. His professional achievements include receiving the 2006 AIA Austin Young Architectural Professional Award as well as more than 20 design awards, including two national AIA awards and the Chicago Athenaeum American Architecture Award. Winner of the prestigious Lyceum Fellowship, he was also twice a finalist in Van Alen Institute competitions, including the Paris Prize. His work has appeared in numerous magazines and newspapers, and he is currently a lecturer at the University of Texas at Austin, where he has also been a visiting critic. Murray is also a co-founder of LeggeLewisLegge, an interdisciplinary collaborative, based in Austin and New York . With a focus on large-scale installations, public art and landscape design, LeggeLewisLegge has been widely recognized including receiving the 2010 Austin Art in Public Places Community Arts Award. The studio received an honorable mention in the international design competition for the Flight 93 memorial and was a finalist in the Boston Logan Airport 9/11 memorial competition. LeggeLewisLegge also recently completed a public urban landscape in Boston through grants from the National Parks Service and the City of Boston. Austin's Preferred Interior Designer | 5x Best of Houzz! Our goal at Elliott Interiors is to help you realize your dream home. We create spaces that cater to the personality and lifestyle of each client.